It's Manicure Monday again! How time flies so fast! July is almost ending now! One month to go and it's already "ber" months! I can smell the Christmas already! Hahaha! Weird me again, talking about Christmas in July? Wooot~! To be honest, July is the only month in a year that I can't feel passing by. Considering it is my birth month! Well maybe because every time this month starts, I am always looking forward to its end. Don't get me wrong, it is not because I don't like to live each of July's days, it is because the month's almost end is my birthday! And that day was yesterday, July 28. 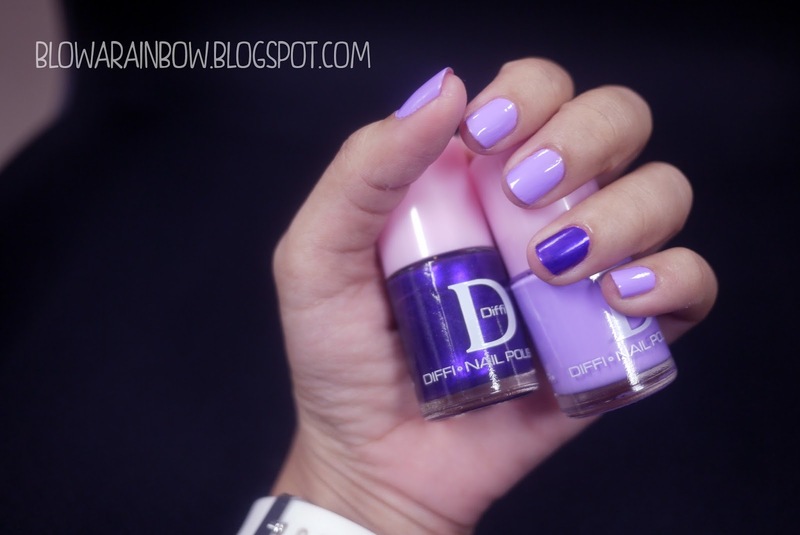 In line with this Manicure Monday post, what I am sharing today is my birthday nails! Violet is my favorite color and it was my tradition to wear violet color from head to foot on this special day. Talk about color addiction! Haha! Not to mention, I always make sure that my cake is violet in each 28th day of July! But that was before. Yesterday was quite different from the rest. I opt wearing red instead of violet, I didn't have a violet cake. It was like an ordinary day with my boyfriend and I even refuse to go out when he said that we will be going to celebrate. I don't know, I've looked up for this day the whole month, plan so much things to do to make it extra special and yet it came out like an ordinary day. So to cheer myself up again, I wear my favorite color on my nails. Diffi nail polish is a Thai brand. Ate Len (happy-whenever.blogspot.com) brought it for me in their recent trip to Thailand as my pasalubong! Yay! The first time I saw them, I just died! They're just in perfect timing as my birthday nail color. I'm amazed with the consistency of this lacquer since I didn't expect it to be that good. Maybe because this was the first time I encountered the brand name. (Lesson? Don't judge the book by its cover! lol) You just need one (1) coat for the dark color and two (2) coats for the lighter one. 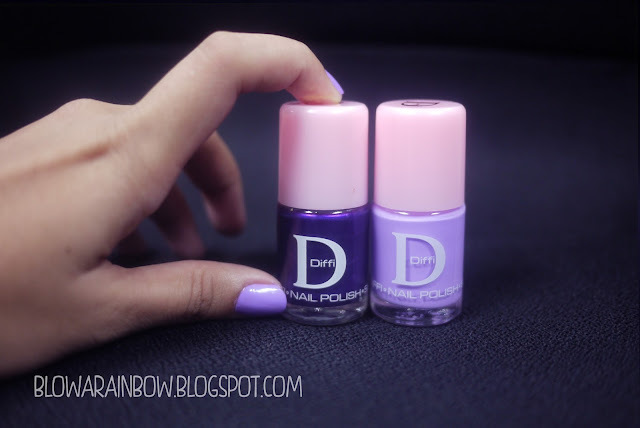 An average nail polish consistency will take you to have 2 coats in dark nail polish, and 3 coats in light one. That is why the consistency of Diffi was that great!